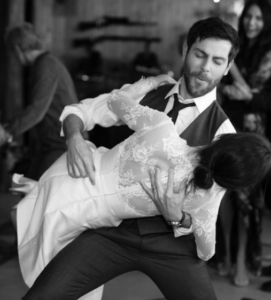 NBC is developing a potential female-fronted Grimm spin-off for next TV season, and even though the show doesn’t have a cast or a title yet, they already have a big fan in one familiar face: David Giuntoli. The actor who led the original Grimm series for six seasons as Nick Burkhardt revealed to TV Guide that he is psyched NBC is trying to find a way to keep the Grimm world alive for the fans, including himself. What’s better is that Giuntoli hasn’t ruled out making an appearance either. He just has one small request that shouldn’t be too hard to oblige. 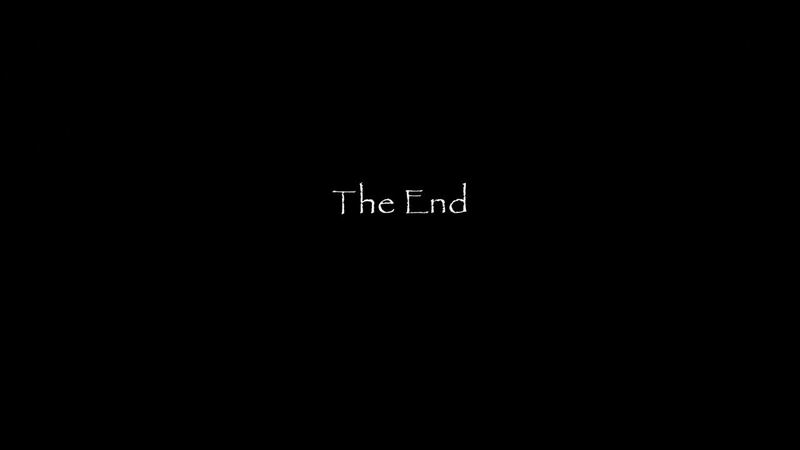 That’s fair since the original show ended with a flash-forward that showed Nick’s grown-up children taking on the Grimm mantle. If the spin-off decides to pick up with adult Dianna in the lead, it would make sense that older Nick wouldn’t be physically down for punching demons, just there to offer some sage advice for how his daughter — or whoever leads the series — should do it. It’ll be months before NBC makes an official decision about the Grimm spin-off, though. 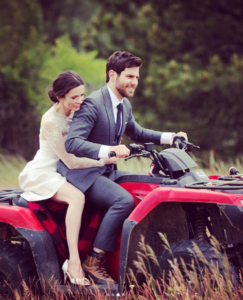 In the meantime, Giuntoli stars on ABC’s emotional drama A Million Little Things, which airs Wednesdays at 10/9c on ABC. The new show would build on the world established in ‘Grimm,’ which ran for six seasons on NBC before ending in 2017. NBC is going back to its Grimm past: The network is developing a spinoff of the series, which ran for six seasons. 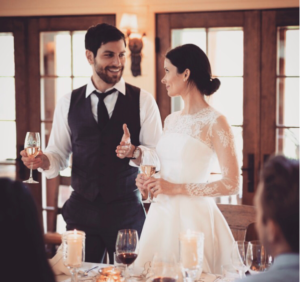 The new project, from writer Melissa Glenn (Zoo, Leverage) and Grimm producers Universal TV and Hazy Mills, would be a continuation of Grimm‘s world. Building on the mythology of the original series, the spinoff will feature returning favorites along with new characters, new mysteries and new dangers. Glenn and Hazy Mills principals Sean Hayes and Todd Milliner are executive producing. Jim Kouf and David Greenwalt, two of Grimm’s three co-creators (along with Stephen Carpenter), will serve as consulting producers. Grimm debuted on NBC in 2011 and ran for six seasons, proving to be a reliable performer on Friday nights for most of its run. The original series starred David Giuntoli as a homicide detective who discovers he’s descended from Grimms, a line of guardians who protect humanity from mythical creatures known as Wesen. 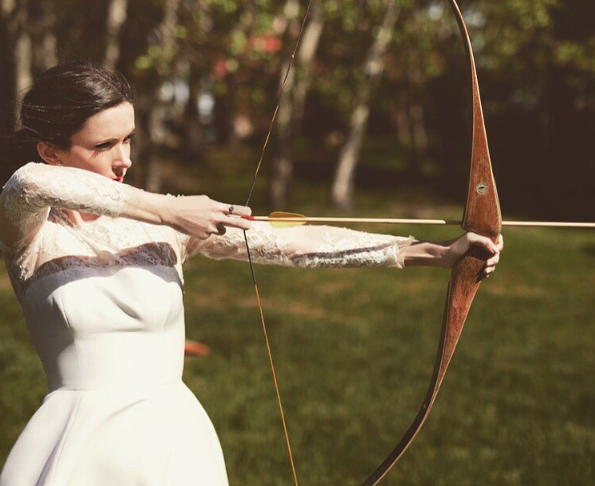 The series also starred Russell Hornsby, Bitsie Tulloch, Silas Weir Mitchell, Sasha Roiz, Bree Turner and Claire Coffee. 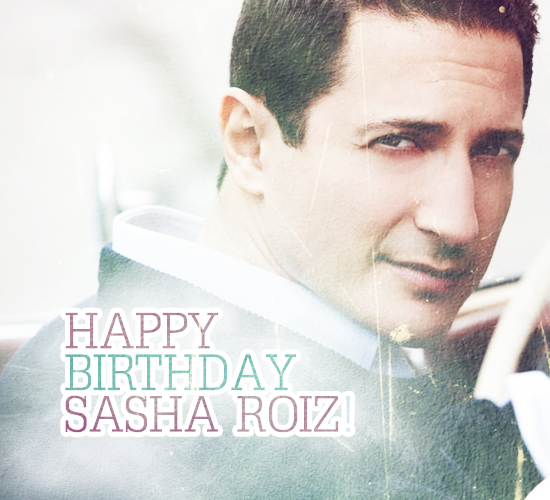 The staff at Grimm Fan would like to wish Sasha a very happy birthday today! 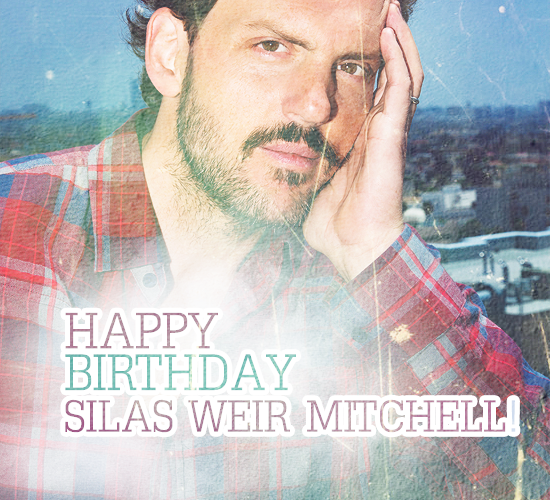 Happy Birthday Silas Weir Mitchell! The staff at Grimm Fan would like to wish Silas a very happy birthday today! 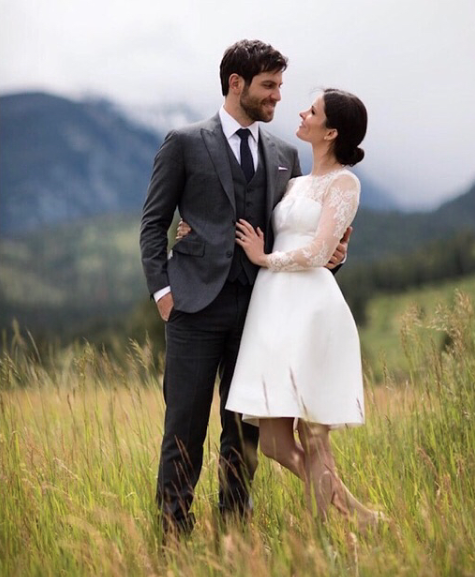 David Giuntoli and Bitsie Tulloch are married! 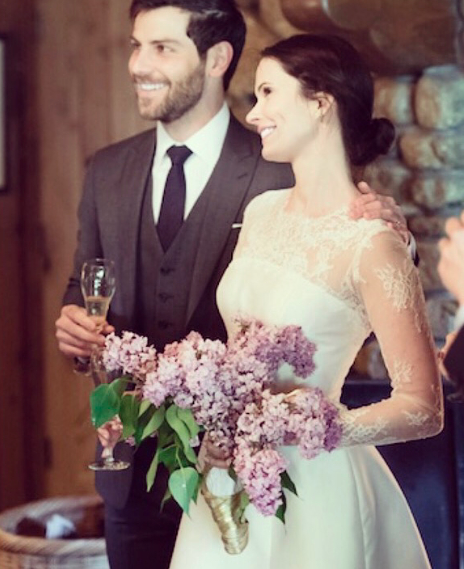 Grimm May have ended, but David (Nick) and Bitsie’s (Juliette / Eve) relationship couldn’t be any stronger. Long-term couple David and Bitsie finally tied the knot this June in Montana. 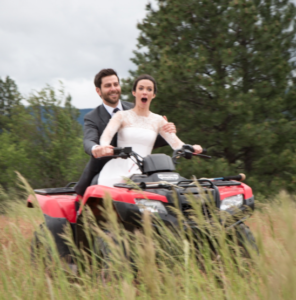 Details about the wedding still remain unknown, yet it has been rumoured that the happy couple wed at a ranch (in Montana) which belongs to Grimm’s co-creator and co-executive producer Jim Kouf. 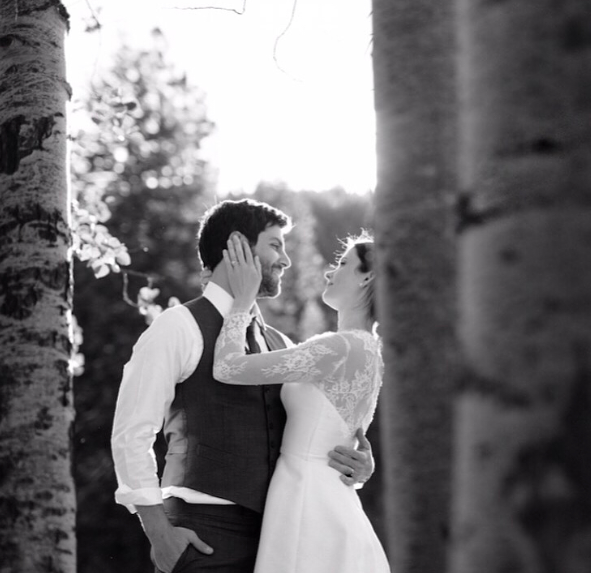 On behalf of the whole Grimm fan community we would like to offer our congratulations to the newlyweds. Scroll down to get a little peek into their wedding photo album! Claire and David recently voiced the audio version of “The Clockwork Dynasty” by Daniel H. Wilson. We’ve been given some fun goodies to share with you all, including some photos from the recording studio (Courtesy of Penguin Random House Audio) and much much more!